Britain's Air Transport Users Council said Tuesday that more than 40 million bags were misplaced by airlines in 2007. Of those more than 1 million pieces of luggage were irretrievably lost. The council said in a report that the annual number of mishandled bags was rising and could be as high as 70 million by 2019. Later this year, a double-rigged crane will hoist a giant power turbine part way up One Penn Plaza, a black monolithic skyscraper next to Madison Square Garden. When the natural gas-powered generator on the 12th floor starts, it will not only produce some 6.2 megawatts of electricity — enough to power up to half the 57-floor building on a busy day — but it will also siphon off excess steam and use it to help heat and cool the 37-year-old skyscraper. 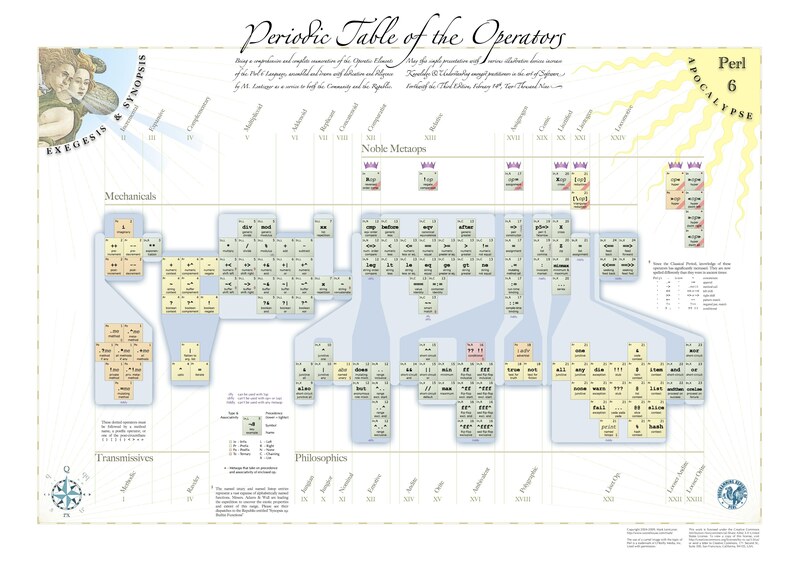 Perl operators as the periodic table. Brilliant. It won't be long after these products launch that you'll see them popping up in dorm rooms and frat houses, finally creating an alternative to beer pong. Cool tech making its way into toys. A little immature in content, but funny still. I have "PLEASE CHECK PHOTO ID" on most of mine, and am always amused when a human pretends to compare my (earnest) physical signature with the card. Maybe I should start signing it "PLEASE CHECK PHOTO ID" to be consistent. every year i try to get an awesome gift for my fiance and i fail so bad. Some interesting and helpful comments into why women claim men are hard to shop for. Recognizing that about 85% of our employees have at least some stock options that are underwater (i.e., have an exercise price higher than the current market price of our common stock), we plan to offer our employees the opportunity to exchange those options.